Keith Lemmons serves as an Associate Dean of the College of Fine Arts, Presidential Teaching Fellow, Professor Clarinet and Music Faculty Advisor at The University of New Mexico, where he has taught since 1984. He combines an international reputation as a sought after soloist, clinician, chamber and orchestral musician with a distinguished teaching career. At UNM he has been designated a Presidential Teaching Fellow, received the UNM Teacher of the Year Award and the Burlington Northern Award for Faculty Achievement. He has been enthusiastically acclaimed by critics and audiences alike for his performances in orchestra, chamber music and solo recital appearances. He has appeared at prestigious music and clarinet festivals, symposiums and universities in Colombia, Portugal, Sweden, Brazil, Canada, Mexico, Puerto Rico and throughout the United States. El Sol de Mexico City described his performance “magnificent interpretations. He had the audience in ecstasy.” TheAlbuquerque Journal states “Lemmons’ recital was a prime example of the Keller Hall series at its very best” and “Marvelous and amazing.” “Sheer virtuosity” and “He wowed the audience with his flawless technique and expressive tone,” writes The Clarinet Journal. From 1984-1992 Professor Lemmons taught clarinet and saxophone at UNM. He previously taught at Minnesota State University where he conducted the symphonic band and taught clarinet, saxophone and flute; Albion College where he co-conducted the marching band, jazz band and taught clarinet, flute and saxophone; Alma College where he taught all the woodwinds; Universidad de Las Américas-Puebla, Mexico; Universidad Nacional Autónoma-Mexico City and during the summers at the New England Music Camp in Maine. 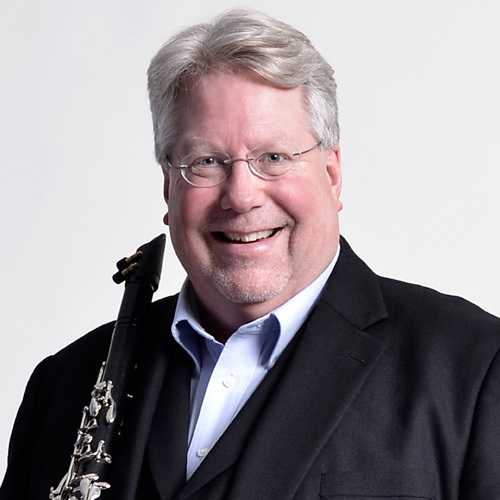 Professor Lemmons is clarinet with Santa Fe Pro Musica, the Taos Chamber Music Group, Los Alamos Fuller Lodge Ensemble, Serenata of Santa Fe, and Ay! Clarumba Clarinet Quartet. He is a founding member of Trio New Mexico, the New Mexico Winds Woodwind Quintet and Trio ClariVoce, all artist faculty Ensembles-in-Residence at UNM. Mr. Lemmons has performed with the New Mexico Philharmonic, New Mexico Symphony Orchestra, Santa Fe Symphony, the Santa Fe Chamber Music Festival Outreach Program, Opera Southwest and Roswell Symphony. He has been a judge for the International ClarinetFests Young Artist Solo Competitions in 2013 (Italy), in 2009 (Portugal) and in 2007 (Vancouver, BC) and has performed at many international and national music festivals including the International ClarinetFests in 2013 (Italy), 2009 (Portugal), 2008 (Kansas City), 2006 (Atlanta), 2003 (Salt Lake City), 2002 (Stockholm), 2000 (Oklahoma), 1997 (Texas), 1990 ((Quebec City), and 1989 (Minneapolis); 2009 International South America Clarinet Festival in Medellin, Colombia; 2013, 2009, 2005, 2003, 1996, 1991 and 1987 renowned University of Oklahoma Clarinet Symposiums; the 2007, 2004, 2002, 2000 and 1998 Michigan Contemporary Clarinet Festivals; 2002 College Music Society National Conferences; 2000 Brazilian Clarinet Festival; 2004 and 1998 International Double Reed Society Conferences; and 2007 National Flute Association Convention. He has also performed as principal clarinet with the Music in the Mountains Festival Orchestra in Colorado, Missoula Symphony, Santa Fe Festival Ballet, New Mexico Symphony Orchestra, Santa Fe Symphony, Chamber Orchestra of Albuquerque, New Southwest Festival Orchestra and as guest artist with the Albuquerque Philharmonic, Albuquerque Jazz Orchestra, Albuquerque Concert Band, UNM Symphony Orchestra, UNM Jazz Band, UNM Wind Ensemble and Symphonic Band, the Helios String Quartet, Santa Fe Concert Association, Corrales Series, Placitas series, Los Alamos series and as a member of the Santa Fe Opera Orchestra. He has also been a recipient of numerous USIA grants to perform throughout Mexico and teach at the Universidad de las Américas-Puebla and at the Universidad Nacional Autónoma-Mexico City. Professor Lemmons is the state chair for the International Clarinet Association and has been President for the Southwest chapter of the College Music Society and also for the Southwest chapter of the National Association of College Wind and Percussion Instructors. He is the woodwind consultant for the Music Teachers National Association and has written articles for the Clarinet Journal, NACWPI Journal and the New Mexico Musician. The reputation of the UNM clarinet studio is renowned for its large size and high quality, having students attended from across the U.S, Canada, Puerto Rico and Mexico. His many graduates are teaching at numerous universities and colleges, in public schools and performing in symphony orchestras and military bands throughout the U. S and attending major music schools and conservatories. His Bachelor of Music Education degree is from Pittsburg State University (KS) where he was chosen in 2000 as an Outstanding Alumni and studied clarinet, flute and saxophone under renowned pedagogue Robert Schott and the Master of Music in Clarinet Performance and Woodwind Specialist degree with extensive Doctor of Music Arts work at the Michigan State University College of Music under icon Dr. Elsa Ludewig-Verdehr. He has also studied extensively with Larry Combs (principal clarinet-Chicago Symphony), Charles Neidich (Professor-Julliard School), Dame Thea King (principal clarinet-English Chamber Orchestra), John McCaw (principal clarinet-London Symphony), Gabor Reeves (Professor-New South Wales Conservatory, Australia), Herb Blayman (principal clarinet-Metropolitan Opera Orchestra, NY City), Robert Crowley (principal clarinet-Montreal Symphony), Peter Reickoff (Professor-Berlin Hochscule), Jim Forger (Dean and Professor of Saxophone-Michigan State University) and Russell Freidewald (Professor of Flute-Michigan State University). His recordings are found on the Centaur, Summit, Novona, Strauss, albuZERXque, Katson Productions, Taos Chamber Music Group and The University of New Mexico labels.